A year after the disappearance and commencement of the international search for Malaysia Airlines Flight 370, no sign of the plane has been foundno debris, no bodies, no sign of the much-talked-about black box. Richard Belzer, George Noory, and David Wayne want to know why. 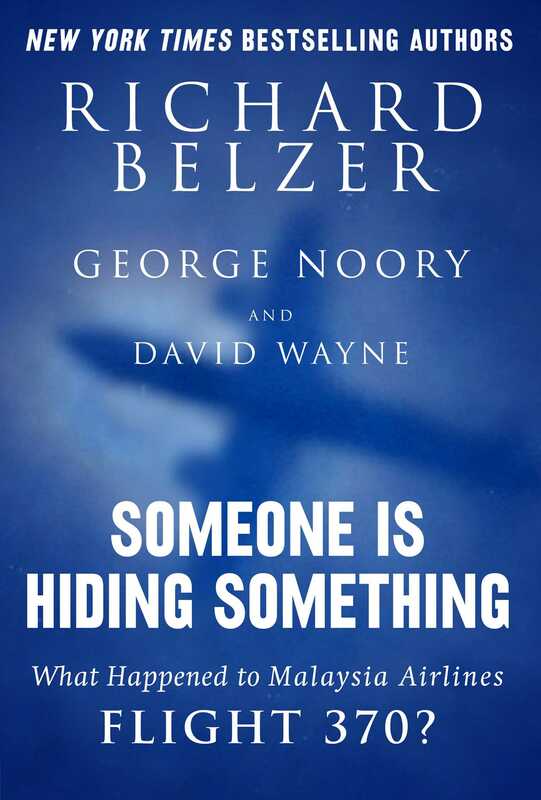 Scrutinizing the theories the media and politicians claim are the most likely” reasons the plane crashed, Belzer, Noory, and Wayne argue that if a year after a huge Boeing 777 has gone missing, and there’s still no sign of it whatsoever, it’s time to think outside the box. The public needs to stop being misled. If a plane and its passengers went "missing" once, what's to stop it from happening again? Some of the theories the authors consider seem implausible on the surface, but the thorough research they've done and the continual failure of politicians, aviation authorities, and military members around the world to give any indication they're wrong makes their arguments as goodif not betterthan the more widely shared ones. The title of this thought-provoking volume, Someone is Hiding Something, is a line spoken by former Malaysian Prime Minister Mahathir Mohamadperhaps the only government official to publicly acknowledge the true reason that neither Flight 370 nor the 239 people onboard have been found. Richard Belzer is a stand-up comedian, actor, and author (with David Wayne) of the New York Times bestsellers Hit List and Dead Wrong. He splits his time between France and New York City.